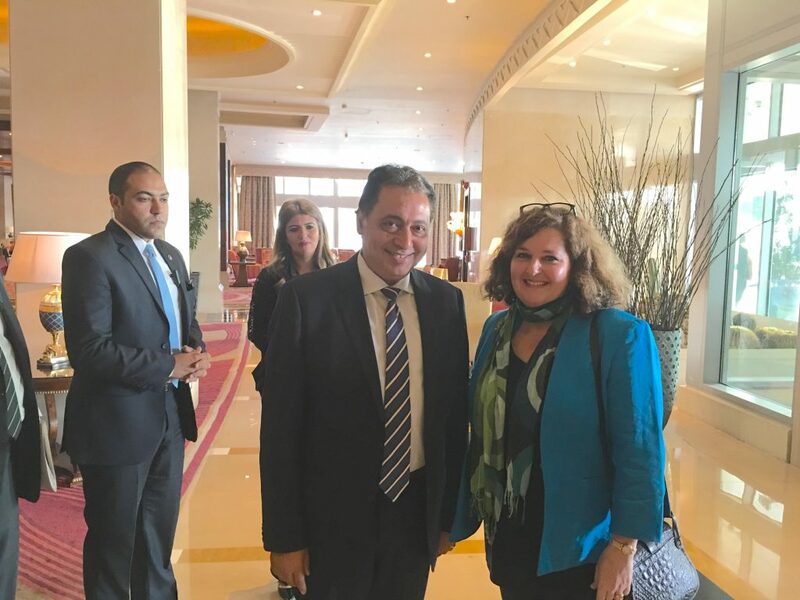 Above: Simin Curtis, of American Middle East Institute, with Egyptian Health Minister His Excellency Dr. Rady in Cairo at US Chamber of Commerce and AmCham Egypt business mission held at Nile Ritz Carlton October 23-25, 2016. HE Dr. Rady held a special health-focused discussion with leading US pharmaceutical and medical device companies October 24. 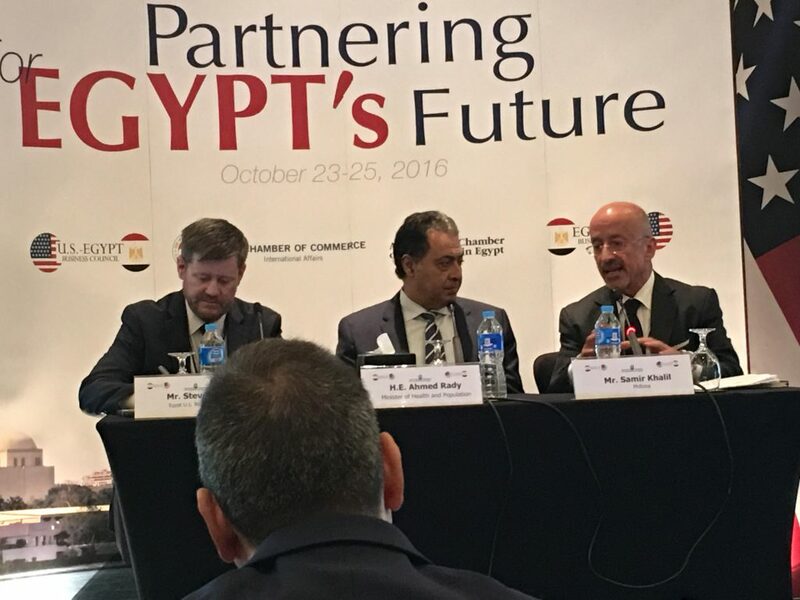 Above: Steve Lutes of the US Chamber of Commerce, Egyptian Health Minister HE Dr. Rady and AMEI Board Member Samir Khalil of PhRMA.